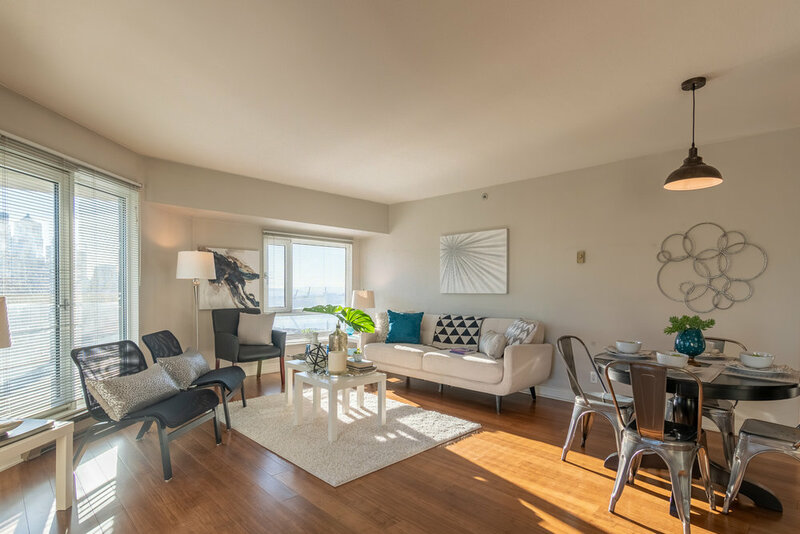 Don’t miss out on the gorgeous views at the highly desirable luxury Arbor Place Condos. This 23rd floor unit has gorgeous unobstructed southern and eastern views of Downtown Seattle, Waterfront, and South Lake Union. New hardwood floors, new windows being installed at no cost to buyer by end of year. 24 hour concierge, pool, sauna, gym, and guest rooms. Large laundry room/in unit storage space, with full size washer and dryer. Three rooftop terraces with BBQ's that are ideal for entertaining or walking your dog. Garage parking and separate storage. NO RENTAL CAP!